March 14, 2019, 8:20 p.m.
Are you celebrating St. Patrick’s Day? If you aren’t, you won’t be alone this Sunday, March 17. Most Americans have no plans to celebrate. Only 20% in the latest Economist/YouGov poll plan to do anything special for St. Patrick’s Day – and for most of them that means simply wearing green. St. Patrick is a Catholic saint, the patron saint of Ireland, noted for having brought Christianity to Ireland in the fifth century, and reputed to have driven out snakes from that country (though Ireland never had snakes). Catholics are more likely to celebrate the day. Those who celebrate the Irish holiday are also more likely than other Americans to wear green, attend a parade, and eat a traditional Irish dinner. Still, many Catholics won’t celebrate. 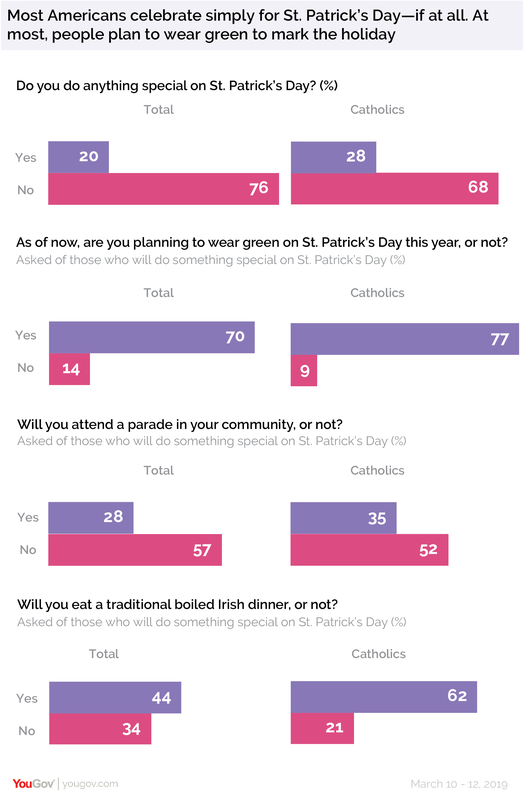 Only one in ten Americans (and 18% of Catholics) want to turn St. Patrick’s Day into a new federal holiday. Nearly four times as many would turn Election Day into a holiday – more than say that about Christmas Eve or the Friday after Thanksgiving. 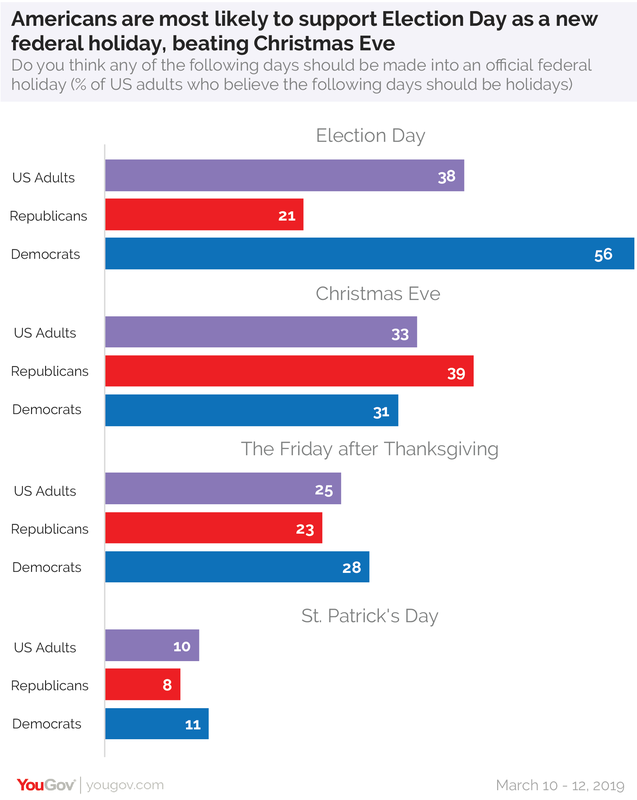 Republicans are slightly more likely than Democrats to say Christmas Eve should be a national holiday. About a quarter would extend that honor to the Friday after Thanksgiving. But nearly one in three would add no new federal holidays from those suggested in the question to what is already a double-digit list of federal holidays. Respondents could select as many new holidays as they wished. Among those naming any (excluding those who wanted no new holidays), 56% picked Election Day, 48% Christmas Eve, and 36% the Friday after Thanksgiving. 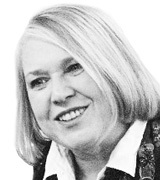 See the full toplines and tables results here.